Perhaps one of the reasons why local search has gained such prominence in the digital landscape is because it fits very well in Google’s scheme of things – at least, as far as “relevance” is concerned. You can find the most appropriate results based on your location. 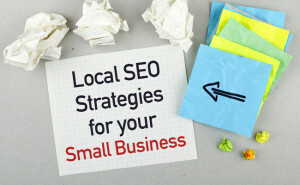 However, businesses need to understand that local SEO is constantly changing. (Google My Business has come up with quite a few changes in recent times while the SERPs themselves have trimmed down to 3 results from 7). The need of the hour is to realize that there still are a few misconceptions regarding local SEO that are being passed on consistently. When it comes to setting realistic local SEO goals, half the job is done if these misconceptions are done away with. Keeping this particular factor in view, we, in this particular post, will try to figure out how marketers can set realistic local SEO goals for brands. Here is what you need to find out. Taking on from where we left. It is important on your end to get rid of the idea that a one-fits-all approach works as far as local SEO is concerned. It is extremely important to back your SEO efforts by a flexible plan. If there is a particular idea which has worked wonderfully well for you this year, there is every possibility of the same not proving equally effectual the next year! You should be sagacious enough to see the next three steps while taking the first step in this regard. If you think that you can jolly well rest on your laurels by riding solely on a fairly old formula then you are not being pragmatic. For instance, it has not been long since Google had shunned all social components attached to Google Plus and cleaned its Google My Business dashboard. Yes local SEO is always evolving! You cannot expect to ride high on a one-time investment. To start off— local SEO can never be treated as a one-time investment. Marketers need to conduct research on and target key phrases on a regular basis for rankings. What more? Long tail keywords are definitely going to gain more traction in the coming years – simply because they are regarded as better reflections of user intent. Local SEO, needless to mention, is infallibly impacted by user intent which leads to more engagement and higher rankings.